German printing company Dr. Böger Duplomat decides to move into typesetting and forms Scangraphic. The company will build digital composition systems and imagesetters until it is acquired by Mannesman AG in 1989. The Compugraphic MCS (Modular Composition System) is a direct competitor of the Scantext 1000 and similar Mergenthaler Linotype systems. 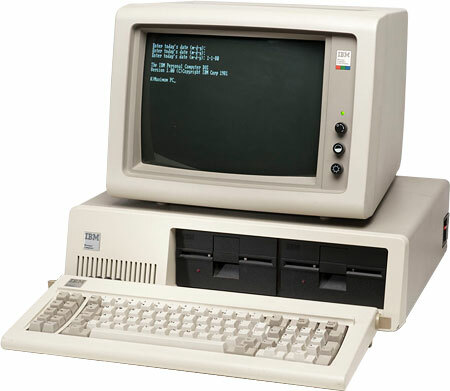 It is equipped with a 16-bit Intel 8086 CPU and twin 5.25-inch floppy drives. The option to run CP/M software allows small companies to also use the machine for bookkeeping or other administrative tasks. CP/M is a precursor of MS/DOS. For output on photographic paper three phototypesetters are offered, including the CRT-based 8400. The Sigmagraph 2000 is Dainippon Screen’s first electronic page makeup system. Bitstream Inc. is founded as the first independent foundry that makes fonts for digital typesetting. The first Seybold Seminars is held at the Airport Marriott Hotel in Los Angeles. 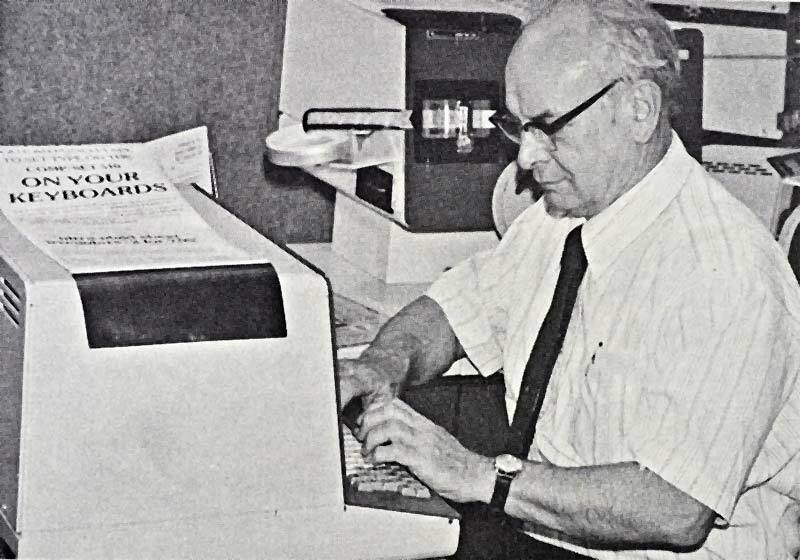 The image below shows John Seybold at the keyboard. Another new and popular computer that year is the Osborne 1, a luggable computer with a really tiny monitor. 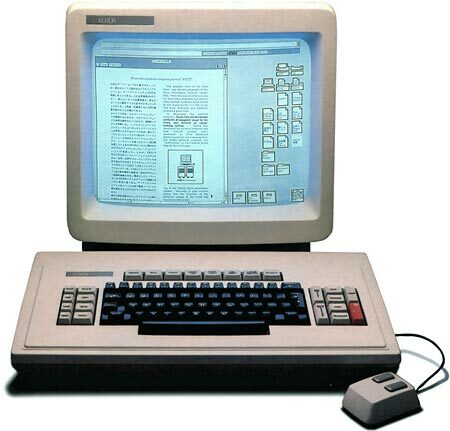 Its key selling point is the bundled software, which includes the WordStar word processor. 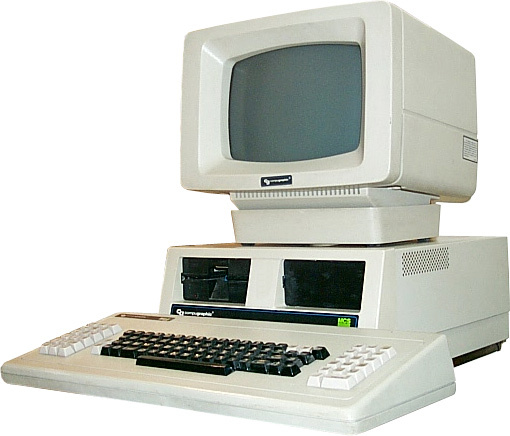 The Xerox Star 8010 is not a commercial success, but it is one of the most significant computer systems from that era. It introduces the concept of the ‘desktop metaphor‘ with documents being represented by icons and a WYSIWYG editor. Adaptec is founded. It will become the most important manufacturer of add-on SCSI-cards, used to connect peripherals like scanners and CD-ROM drives to computers. Between 1918 and 1921 Morris Benton researched eyesight and legibility and then created Century Schoolbook. That typeface was rereleased in 1981 as New Century Schoolbook. Pope John Paul II is wounded by a gunman. The TGV is Europe’s first high-speed passenger train. The Egyptian president Anwar el-Sadat is killed by Islamic extremists. In the mid 80’s I was a Sigmagraph Engineer for Dainippon Screen America in Rolling Meadow, Ill. The Sigmagraph was a very cool mainframe system that hardware wise was thousands of times more complex than today’s integrated high end desktop publishing systems. 2o years later, today’s Photoshop is thousands of times more powerful than that system which took up hundreds of sq feet of raise floor space. My desktop takes up a whole 2 sq ft. I am really impressed with your writing abilities as neatly as with the format to your blog. Is this a paid theme or did you modify it yourself? 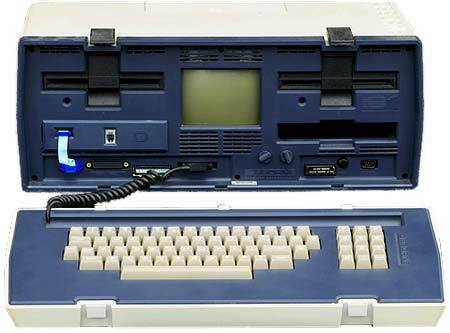 Either way keep up the excellent quality writing, it’s rare to peer a great weblog like this one these days..
Hi, may I have your permission to use the image of the editing screen of the CRTronic 360 on my website? I’m busy designing it at the moment and this will be a great image to support my walk down memory lane.